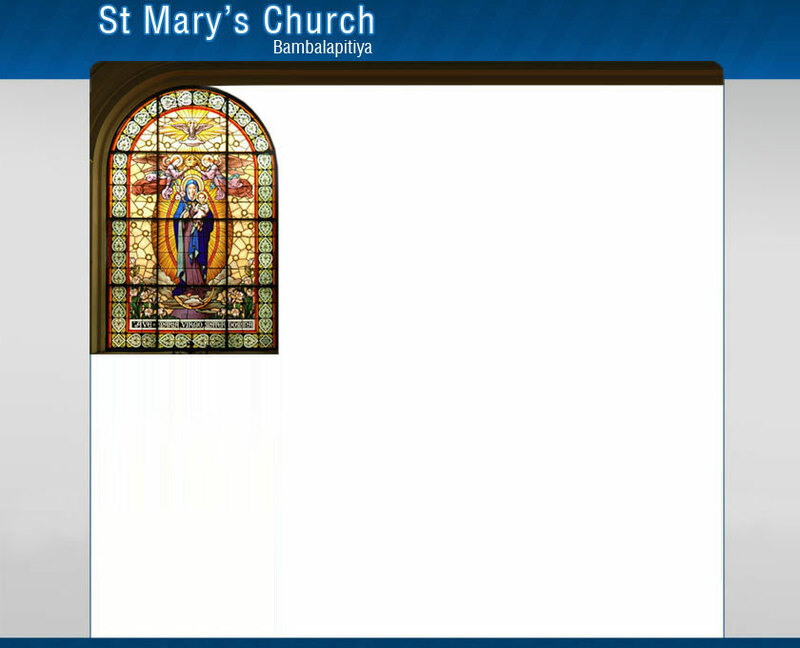 The Parish Church of St. Mary’s Church, Bambalapitiya is located at 66, Lauries Rd, Colombo 4, Sri Lanka and counts over 400 families as its parishioners. Non-parishioners, visitors and tourists are welcome. 6:10pm Novena to the Holy Spirit before Wednesday evening mass. 6pm Adoration of the Blessed Sacrament before Friday evening mass. 7:00am *, 8:30am, 10:30am, 6:00pm. Mass in English at 7:00am, at “Nirmala Chapel”, Clifford Place. © 2014 St. Mary's Church, Bambalapitiya.